Every year, Inman celebrates the most innovative marketing campaigns, the beautifully crafted efforts to capture market attention that made us sit up and take notice. A Date-Date by BRIX Real Estate: BRIX Real Estate showcases neighborhoods by creating engaging short films that explore the perks of living in the Twin Cities or one of the surrounding suburbs by creating a narrative that helps reveal and celebrate the area on a new level. 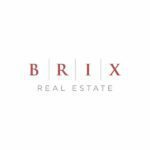 BRIX’s community and building guides help round out consumer education when it comes to shopping for (and finding) a dream home. 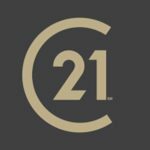 Century 21 Rebrand: It’s rare that a rebrand is so widely hailed as the best possible reiteration of a company, but Century 21’s clean and sweeping rebrand was so sophisticated and modern that it was immediately accepted and celebrated throughout the real estate industry. The effort shed all of the clunky, dated visuals and branding that was affiliated with its previous version and has emerged from the ashes like the proverbial phoenix, stronger and better than ever before. Chelsea Peitz, Snapchat Strategies: As a social media marketer who isn’t a millennial, Peitz has had to learn her way around digital tools — and has adapted them in her own life like a proverbial ship to water. Her Snapchat strategies in particular have helped real estate agents figure out the platform; she’s got a Facebook group where marketing rookies and veterans alike can share their strategies, and she wrote the book Talking in Pictures: How Snapchat Changed Cameras, Communication, and Communities. Coldwell Banker “Hoops”: What can a basketball hoop do for a kid’s sense of community? Coldwell Banker explored that idea in its “Hoops” ad campaign, which aired during March Madness, and also used real estate data from Coldwell Banker’s proprietary home pricing platform to choose five different “Hooptown” brackets and pick winners for each game. It’s a touching reminder of the tangible features that build memories in a family home. 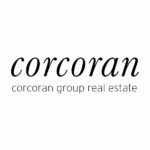 Corcoran, Be Home: Every human being is different, so it seems perfectly obvious that a sense of home means something different to everybody — a gathering place, a launching pad, a sanctuary and more. Corcoran’s “Be Home” campaign explores what it means to, well, be home. The sweet, funny and sometimes poignant images paired with simple declarations makes this one of the more interesting and touching ad campaigns we’ve seen. 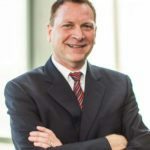 Lance Loken: Listings on television and the radio? It’s working for Lance Loken at The Loken Group in Houston, Texas. 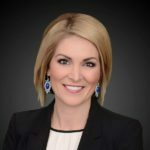 Loken started in real estate in 2011 and shortly after that was using radio and television to capture clients; by 2014, radio ads were responsible for 40 percent of his production. By focusing on outlets that many other agents have ignored, Loken is using marketing intelligently to expand his business. 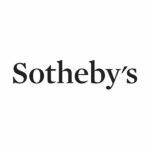 Sotheby’s real estate tour of Prince house : One of the most-mourned pop stars of 2016 (and there were several) was most definitely Prince, and Sotheby’s has commemorated the icon by documenting his Minneapolis home, Paisley Park, in a video tribute. It’s a smart and touching way for Sotheby’s to express its sympathy to family and friends of the musical icon. See the other finalists in the Most Innovative Marketing Campaign category.